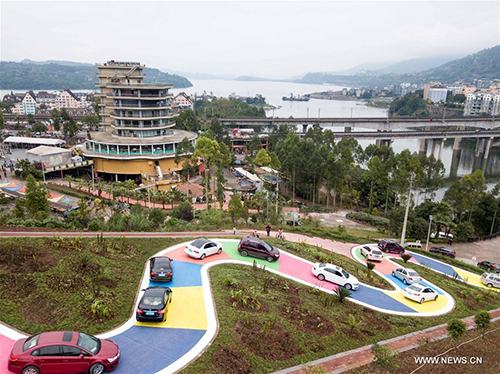 A colorful winding road in southwest China's Chongqing Municipality has drawn tourists from across the country. 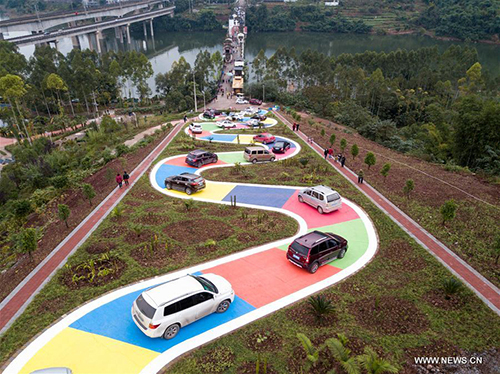 Cars wait in line to get drive along the 185-meter-long and five-meter wide road in the city's mountainous Fuling District in the Three Gorges region. 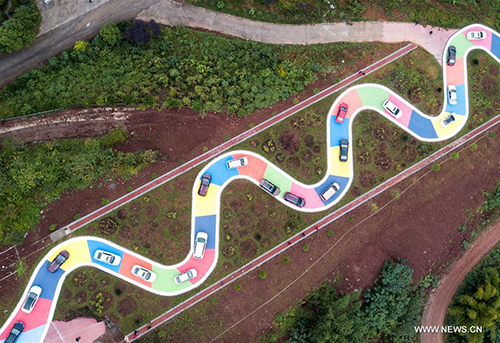 "With cars winding through, it reminds people of the traditional game of snake," said Yang Xiaoyong, a communication worker of the Meixin Wine Town, a landscape and wine resort where the road is built. 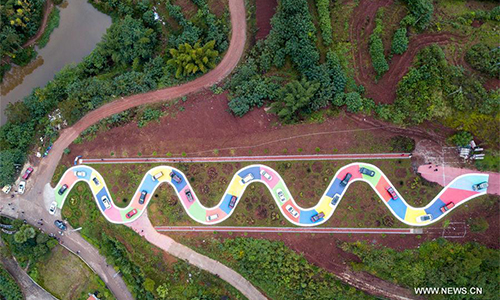 The road composed of sections of different colors has a curve radius of six meters. For safety reasons, the road is designed one way with a speed limit of 5 km per hour, said Yang. Liu Baocheng, a tourist, said the road was like a section of driving school. "With large curve and slope, it's thrilling to drive along."